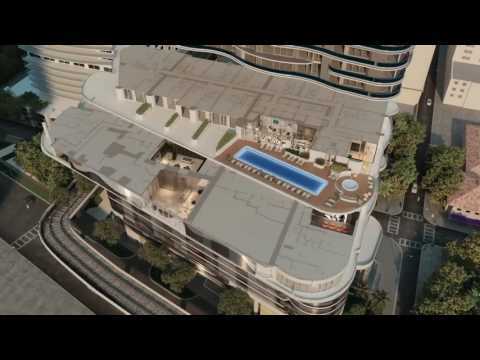 Brickell Flatiron is an ultra-luxury condo development located in Brickell Miami at 1001 South Miami Avenue. Rising 64 stories, Brickell Flatiron offers breathtaking views of the city and water. The tower has a total of 549 condo residences. The non-penthouse residences are comprised of one-, two-, and three-bedroom floor plans ranging in size from 737 to 2,025 interior square feet while the penthouse residences are comprised of two-, three-, four-, and five-bedroom floor plans ranging in size from 1,350 to 6,487 interior square feet (see Brickell Flatiron floor plans). The upper penthouses at Brickell Flatiron have soaring 23-foot high ceilings with floor-to-ceiling windows. Brickell Flatiron was developed by the all-star development team comprised of CMC Group (Ugo Colombo) and Capital Group and designed by world-renowned architecture firm Revuelta Architecture International with interiors by Italian designer Massimo Iosa Ghini. Brickell Flatiron closings will begin in August 2019. The amenities at Brickell Flatiron are some of the best in the city. Among them are a rooftop pool located on the 64th-floor offering 360-degree, unobstructed water and city views; a rooftop spa and fitness center with private steam, sauna, and locker facilities; an 18th-floor lap pool; a children’s playroom and pool; a full-time doorman and concierge; a private movie theater; wine room and cellar; social lounge; and on-site fine-dining restaurant. 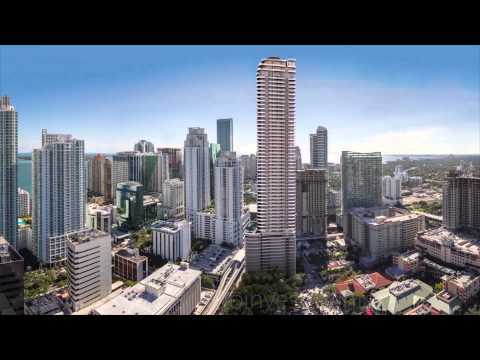 Brickell Flatiron condominiums is centrally located in Brickell. It is within walking distance of the shops, restaurants, and entertainment options at Mary Brickell Village and Brickell City Centre. By car, Brickell Flatiron is just 15 minutes from Wynwood Miami, 15 minutes from South Beach, and 20 minutes from the Miami International Airport.